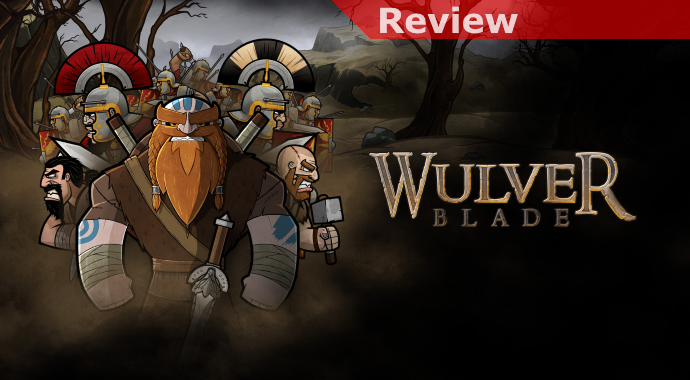 It has taken some time but I’m here to tell you that Wulverblade is the real deal. 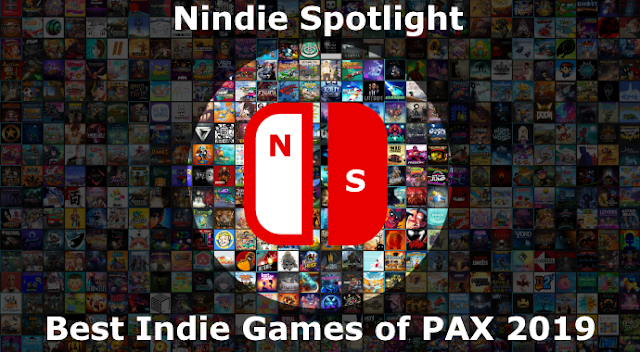 While it is most certainly a game inspired by many classic games of both the beat-em-up and slash-em-up eras the likes of Final Fight and Golden Axe it is very much its own game. Better yet, it is a wake-up call to the genre, a slap in the face for it to wake up, modernize, and work harder to make the itself into something more. With its gorgeously gory artwork, its historically-inspired settings, and its absolutely brutal and challenging gameplay Wulverblade is a best of genre treat to be savored. In the game you’ll take control (along with one friend if you’d like) of one of the members of the Wulver clan. There’s Caradoc, the middle-of-the road warrior who plays with a balance of speed and strength, his sister Guinevere who is a bit more agile but isn’t as powerful, and Brennus who is more of a grappling mountain of a character but who appropriately moves more slowly. The differences between them aren’t just cosmetic, they each have the same general moveset but execute key moves quite differently in subtle ways. The moveset for Wulverblade is absolutely massive, using all 4 face buttons and mixing in directional double-taps as well to give you a staggering number of options with which to slay your foes. Given the level of challenge in the game, particularly in some of its boss battles, you will absolutely need to learn to make use of as many of these skills as possible and when it is appropriate to use them. 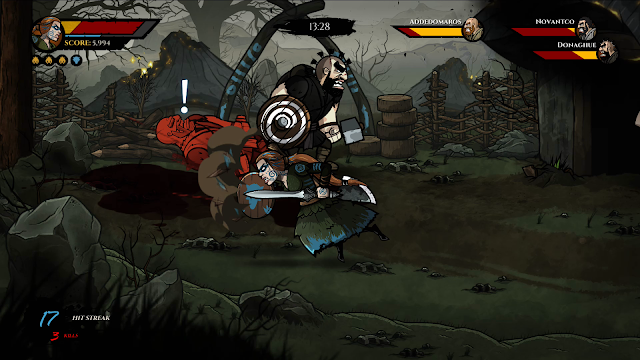 What sets Wulverblade apart from its brethren is that you won’t be button mashing your way through to the end, satisfied to keep continuing. You will need to learn how best to deal with every type of foe you face, whether ranged, shielded, or armed with spears or swords, in order to be effective. Your enemies are smart and will out-maneuver you if you’ll let them. To survive you’ll need to use everything the game offers you for help, whether it be weapons (or enemy body parts) on the ground you can throw, heavy weapons you can use to supplement your offensive capabilities, your rage meter that will put you into a frenzy that will help you kill many foes but also recover health, or even things like spikes or fire in the environment that will help you make quick work of waves of enemies. The boss fights are where you’ll be put to an even greater test as they often have both formidable attacks and health. You’ll need to watch for their telegraphed attacks and either dodge or even counter them properly with one of your specific attacks in order to defeat them. While very little in the game is easy the first time around if you’re observant and develop appropriate strategies for dealing with your various opponents you will find yourself cutting through the forces of your enemy in no time. 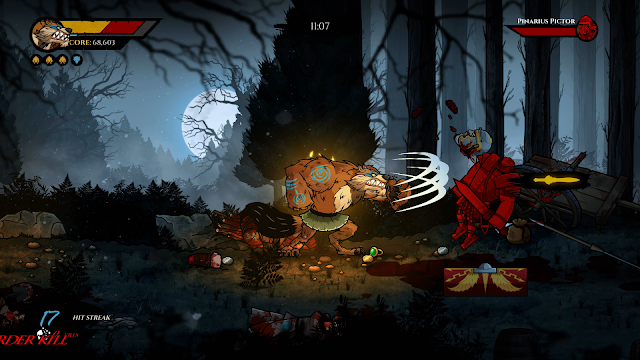 Presentation is really an area where Wulverblade shines, with high-quality artwork, character design, almost cinematic action sequences that play in silhouettes, and more. You’ve never seen a game in this genre look this stunning and you may not see another anytime soon. It isn’t only skin-deep either, another fascinating aspect of the game is the attention to detail given to the history that inspired it and, in many cases, the video and pictures that help you make a deeper connection to the game. Seeing many of the ruins that inspired locations used in the game it’s hard not to be struck by the love not just for this genre but also the rich history of Britain itself. None of this is to say there aren’t concerns. Foremost is that the challenge in the game isn’t for the easily frustrated or discouraged. You won’t be able to muddle through this, but once you accept that fact and begin to make use of the moves and opportunities that the game presents you’ll be astonished with how much more easily you’ll be able to cut down your enemies. One issue tied to the game’s excellent art, particularly in the foreground, is that it sometimes will obstruct objects on the ground, including key ones like health, so you’ll have a tendency to run across the bottom of the screen at times to be sure you didn’t miss anything. Tied to the difficulty for me the spike was in the third Level that has a tough-as-nails boss that you’ll need to work out a plan to defeat. Even once I knew what I needed to do the window of opportunity closes pretty quickly and I struggled with it. From that point on until the game’s aggravatingly-challenging final boss I found that I was often able to get to each level’s mid-way checkpoint (which you can then start from) often and work out a way to defeat them in a few attempts.